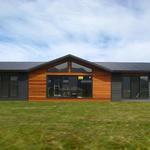 Big River Homes, based in Balclutha, South Otago, was founded in the year 2000 by Mark van Asperen, a local builder who originally constructed one bedroom self contained homes in his back yard at his family home in the Balclutha township. No sooner than when the first Big River Home was finished it was quickly sold and soon client requirements demanded bigger houses leading Mark to establish a yard where Big River Homes is now situated at 172 Barnego Road Balcutha. Today there are six spaces on which we can construct homes simultaneously. 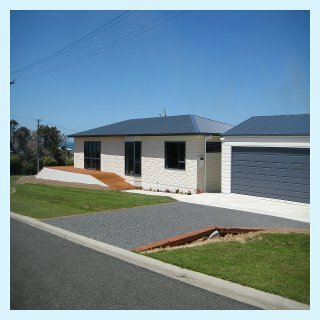 Our homes are now found throughout the South Island ranging as far as North Canterbury in the North, throughout Otago and the Catlins down to Southland, and west through to Fiordland. Essentially the Big River Homes success is driven by its staff. The Builders, Electricians, Plumbers, Gib Stoppers & Painters are all trade professionals who take full pride in their workmanship. These guys, together with the high quality materials they use, combine to make every Big River Home a home that every client is proud to own. 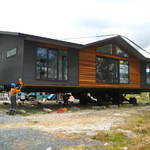 The design process of the homes can either be taken from some of the previous proven Big River Home designs or we can work with you to come up with a design to suit your needs, site and budget.Big River Homes are renowned for their larger sized floor areas and exterior designs which aim to rid the stereotype box type transportable homes of years gone by. The parameters of our homes are generally anything you can design 25 metres long by 8.8 metres wide and 4.2 metres high. Anything inside these dimensions can be constructed in our yard and transported to site with ease. 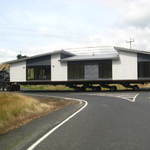 By using a hybrid approach with traditional building methods we can surpass these limits, allowing you to experience the benefits of a Big River Homes transportable home, even if you want a large or multi-storyed home. The key to this type of construction is the fact that every contractor comes to one site, saving on travel costs, material transportation costs and accommodation costs, this provides a product with a proven high reputation which you can rest easy in the fact of knowing you have purchased a great home that will perform for you for many years.